Pen: KarasKustoms Ink, Fine Nib. This takes my modest collection of grey inks to four and I can only see this number increasing! 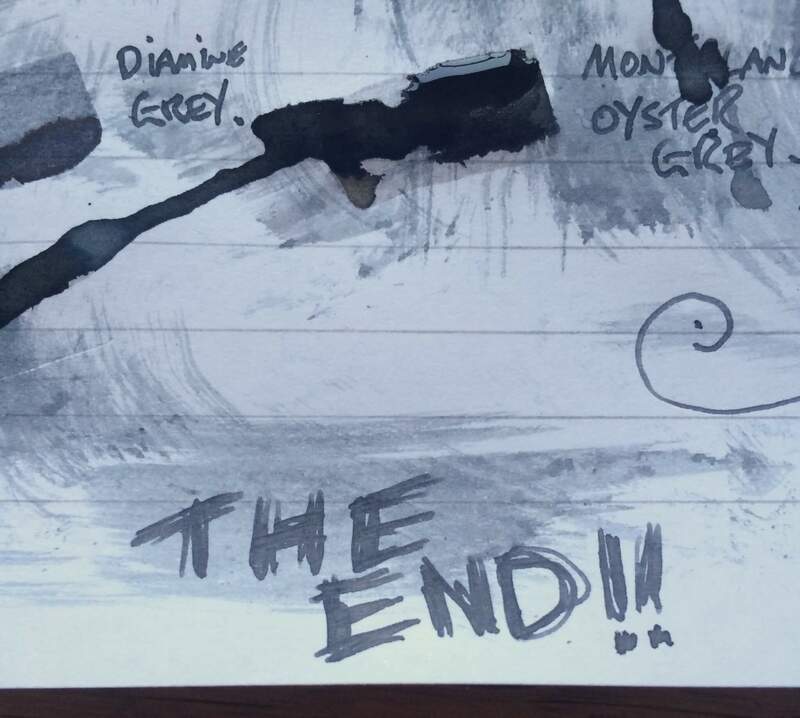 The best way to describe this ink is that it is an “experience”. 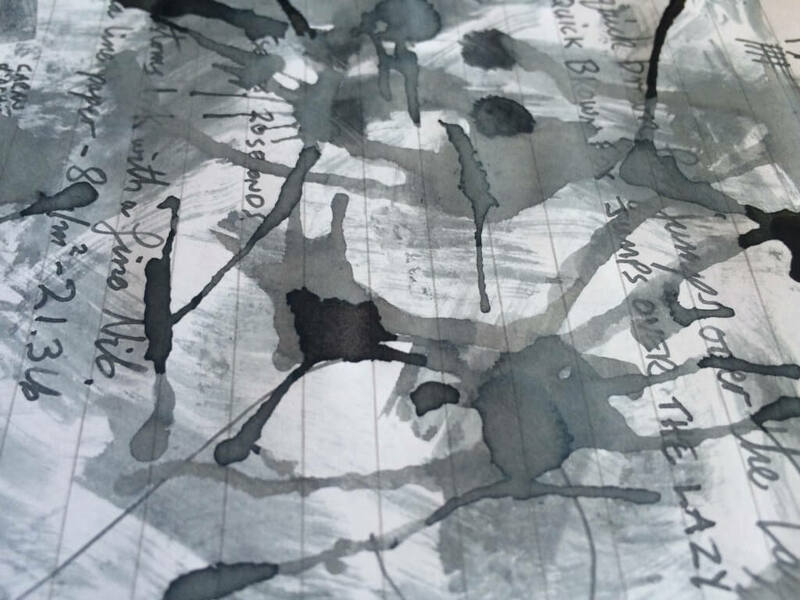 By this I mean the ink oozes class from the ink bottle to the actual packaging that holds the bottle. I won’t spoil the packaging, you have to buy it to behold it yourself! 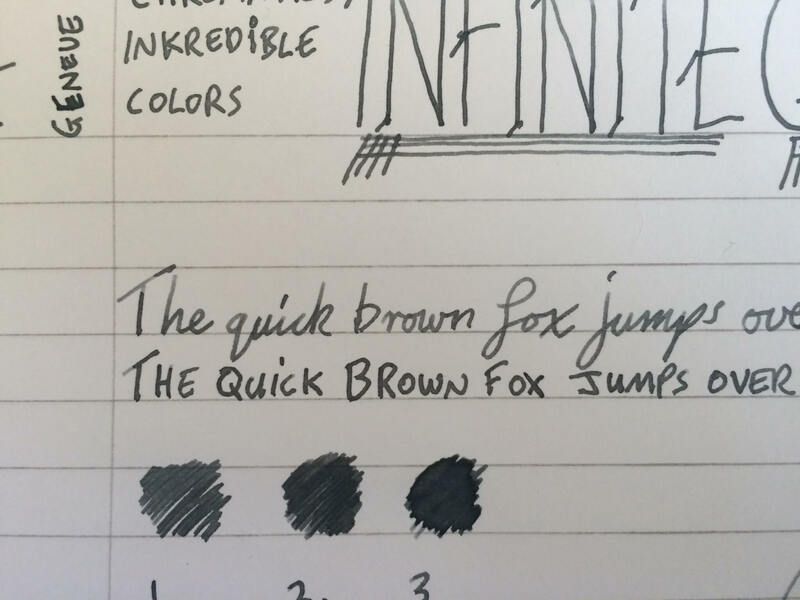 I have really enjoyed using this ink as it is a tad bit deeper in the shading for everyday writing when comparing it to the paler Pilot Iroshizuku Kiri Same. 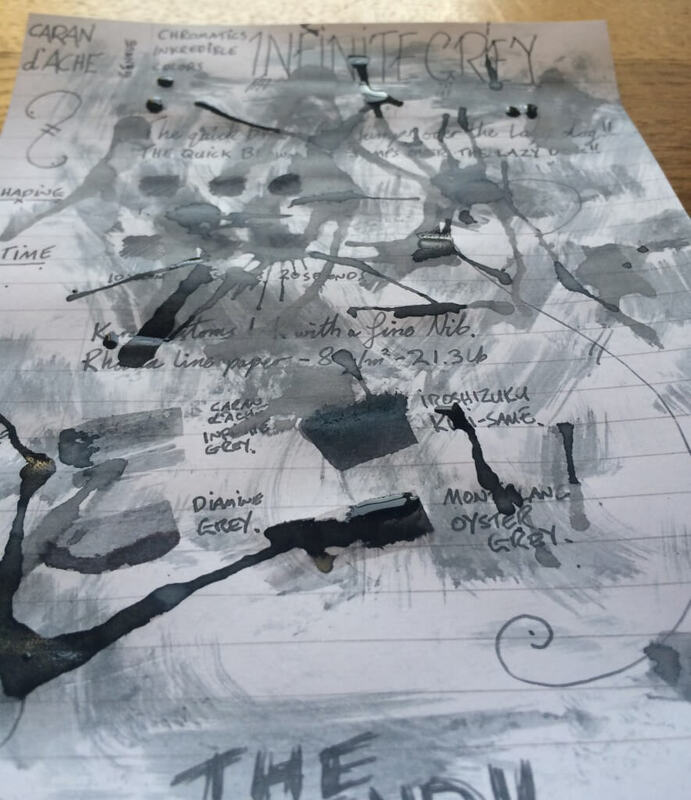 It starts off a nice rich grey which shades into a very dark grey which borders on black. 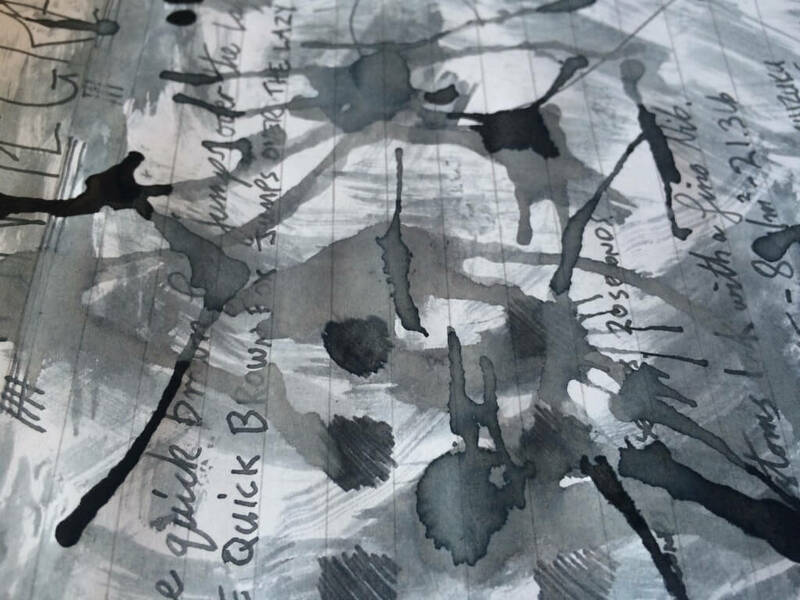 For me a grey ink has to act like pencil lead with regards to shading from light to dark and I feel this is the closest I have come to that experience. 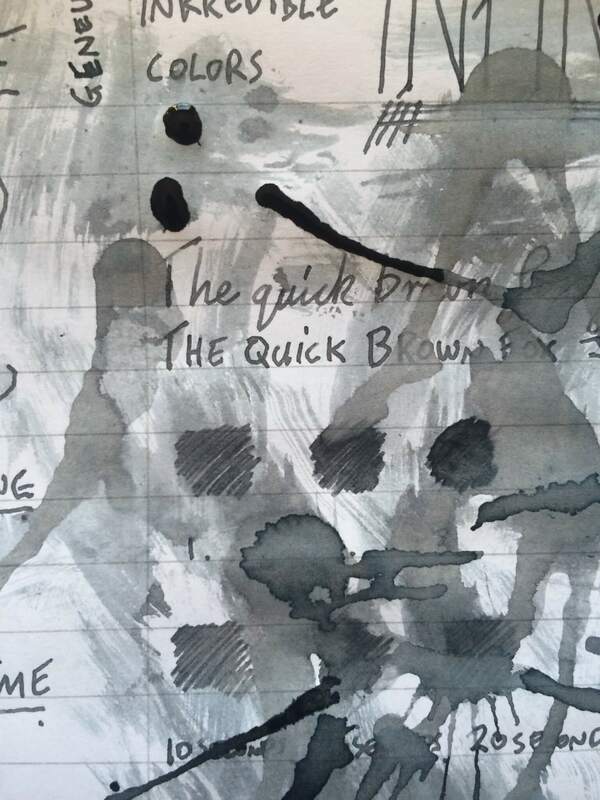 The drying times are the only minor fault I can find with this ink as even with a fine nib it was still ever so slightly smudging at 20 seconds. 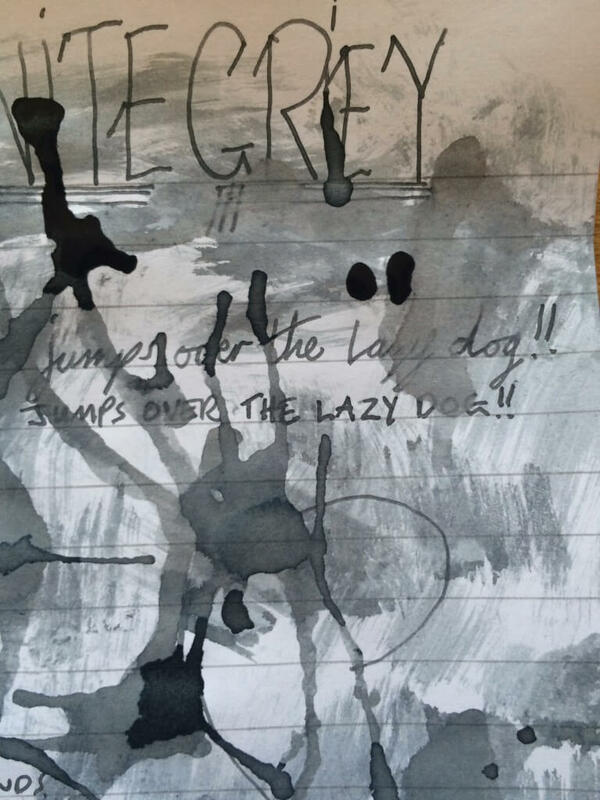 Is this ink really worth nearly £30? 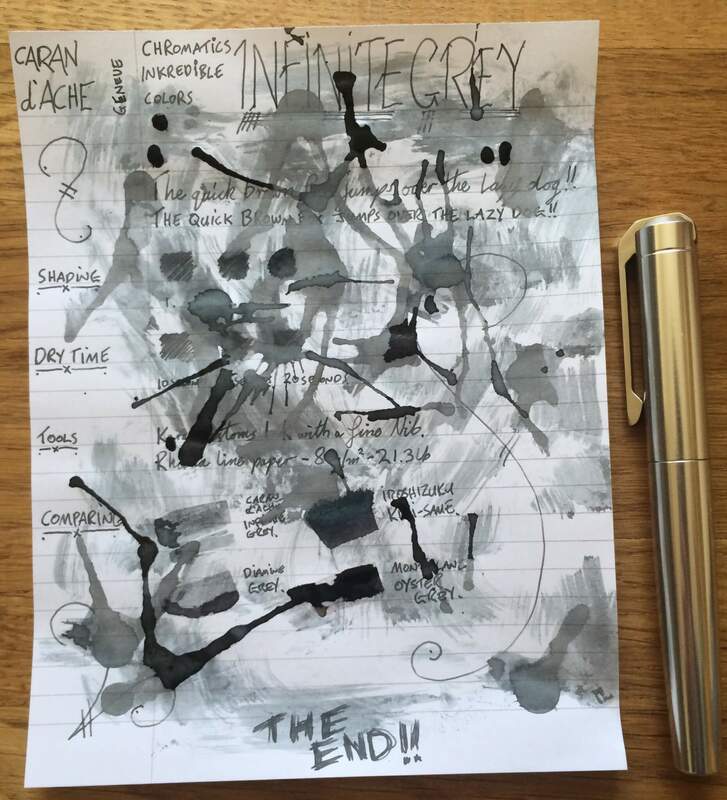 if you are only getting started in to the world of grey inks I would say no. 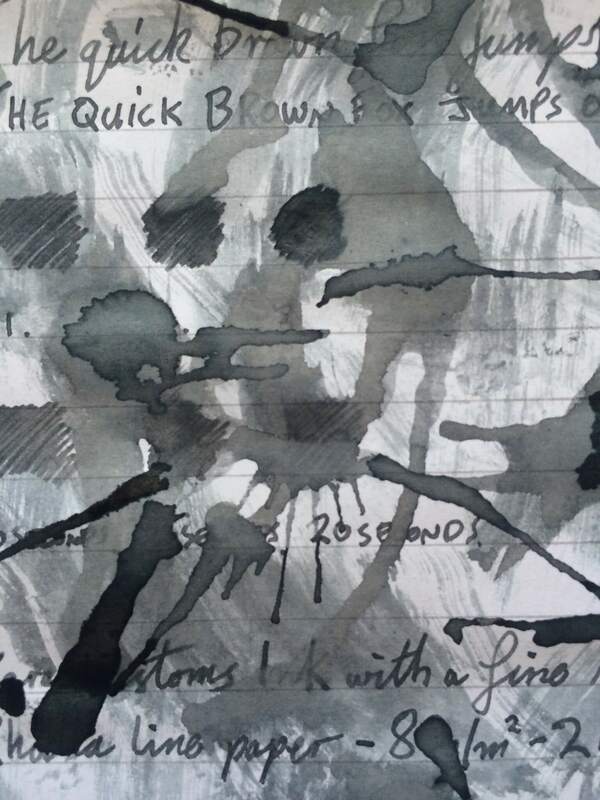 Start with something like Diamine Grey and work your way up to this. 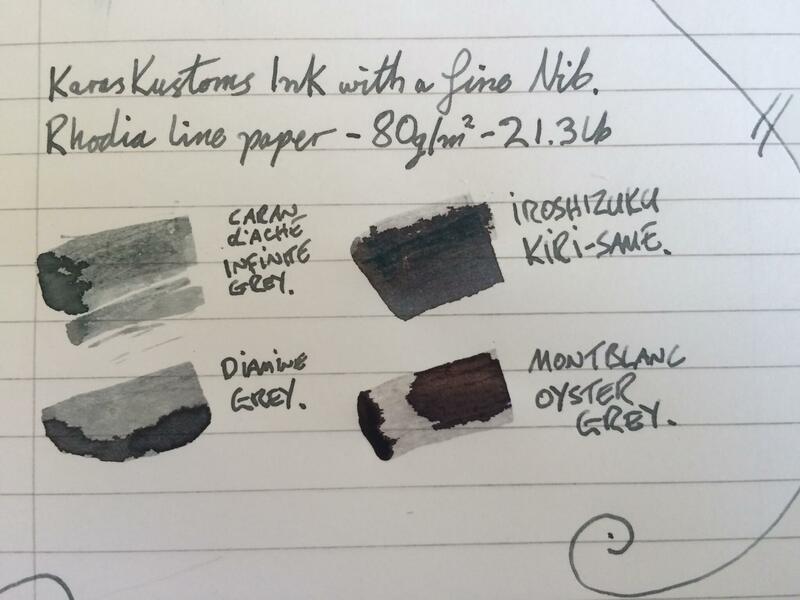 To contradict myself though, I love this ink and I can see it becoming my everyday grey. 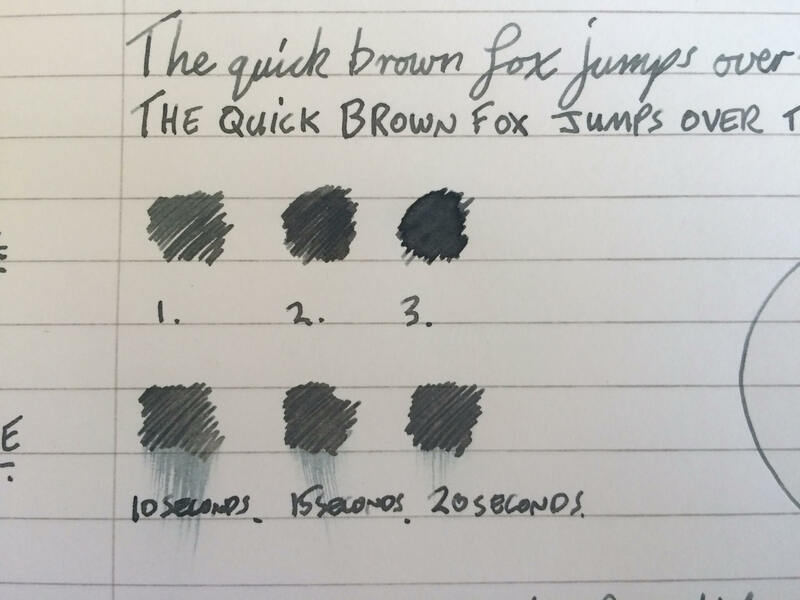 The below screenshot will show the other grey inks I own to try and help show the differences between each.